This poem and photo come to us courtesy of Edie Rose, my talented cousin who often shares her words and pictures with me. And now with you. and toss that little whiskey bottle out. But it isn’t out of earth’s sight. Along with your other discarded trash. It vomits it into the stream. that stream will dump it into the river. in the bloated river towards the open ocean. Maybe it won’t make it to the ocean. where you should have put it. 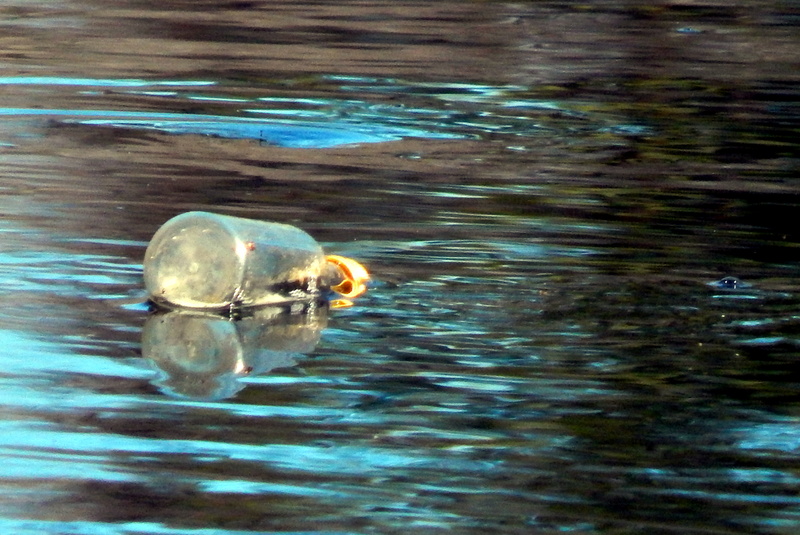 Is there a message in the bottle? Maybe the bottle ‘s presence is the message.